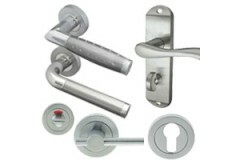 Door Latch Handles are suitable for use with Latches or internal locks that don't have a key hole access. 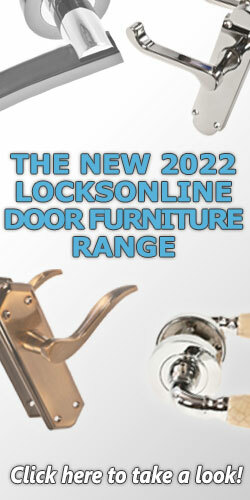 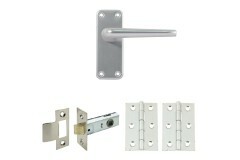 They are ideal for use on your internal house doors that don't need locking or security features. 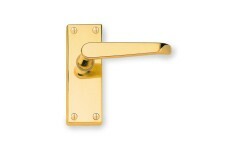 We have a wide range of styles and finishes of door handles on backplates, and a number of these are also complemented by handles in the key-hole and bathroom door handles ranges, allowing you to ensure continuity of design throughout your property. 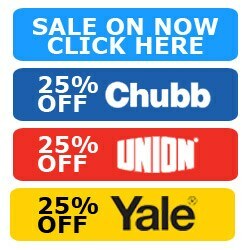 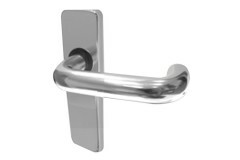 To see our new range of door handle sets, click the banner above, and you'll find a variety of styles to suit your design scheme, in addition to those listed below. 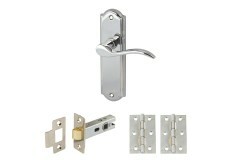 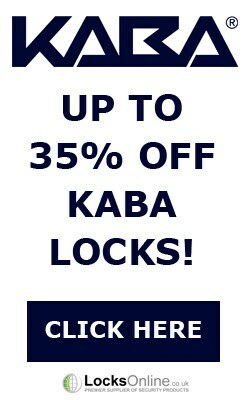 This budget contractors latch, handle & hinge set offers a low cost solution to contractors fitt.. 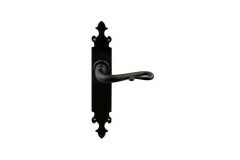 This stunning design of handles comes complete with a door latch and a set of hinges, giving you eve..
Part of the Elegance range, this beautiful design of handles comes complete with a tubular mortice l.. 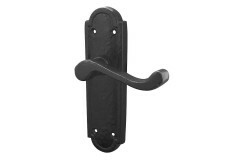 This complete solution offers a traditional Georgian style of short-backplate handles, and is suppli.. 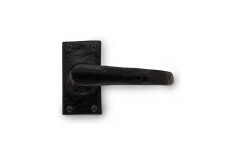 The ever-popular and much loved Straight Victorian style of handle, now supplied as a complete door .. 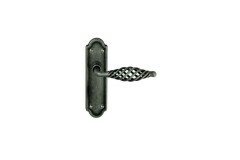 The beloved and ever-popular Victorian Scroll style of handle, now supplied as a complete door kit.. 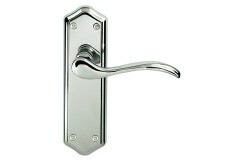 This model of handle are suitable for someone looking for a latch only handle that does not work in .. 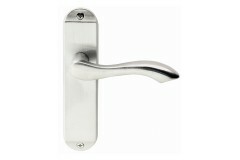 This Jedo styled door handle comes supplied with a round rose. 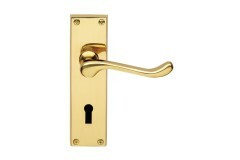 This model has a straight lever desig.. 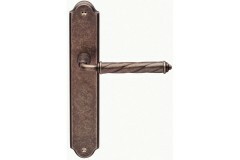 The Jedo Bordeaux has been created using the popular Jedo style design. 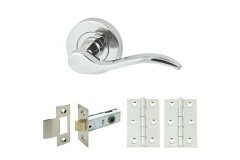 This model comes with a bord.. 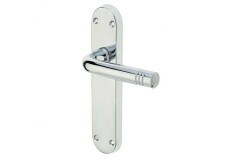 The Jedo Broadway short backplate latch handle comes in a minimalist faceplate design that would sui..
Jedos cage latch handles are suitable for interior doors that do not require any form of locking mec.. 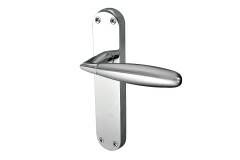 The Twin finish polished handle, a part of Jedo's hardware selection are a very popular model of lat..
Jedo produce and manufacture a wide range of hardware products, this model is the mitred plate latch..
Jedo's range of latch only handles work in conjunction with a latch only and do not provide and form.. 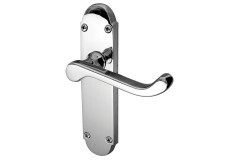 This model is the Jedo Porto latch only handle that is a part of Jedo's massive hardware collection ..
Jedo's style latch only door handle works in conjunction with latch only mechanisms and does not pro.. 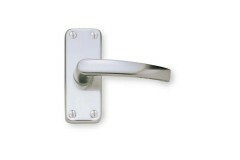 This model is a simple and effective latch only door handle that would suit interior doors. 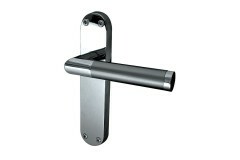 These ha..
Jedo produce a massive range of hardware products, this model is the Jedo Venezia latch only handle ..
Jedo's Paris latch only handle is suitable for interior door installation, they do not provide locki.. 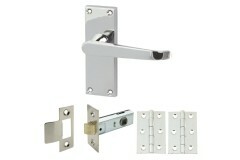 This model, the Jedo Epsom latch only handle has been designed and manufactured by Jedo, experts in .. 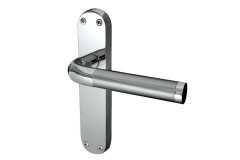 This very unique model of latch only handle is suitable for installation anywhere a latch only handl..
Jedo's Turnberry latch only handles are suitable for installation on interior doors and has been des..
Jedos contessas latch only door handle has a very unique and minimalist design that has four fixing .. 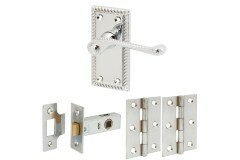 This model is the Regal latch only handle that is a part of Jedo's hardware collection. 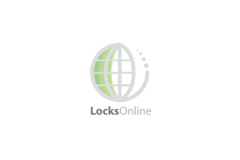 The Jedo Reg..